Okay, real talk for a second: we LOVE #bookstagram and the book blogging community, but sometimes it can feel like an echo chamber. 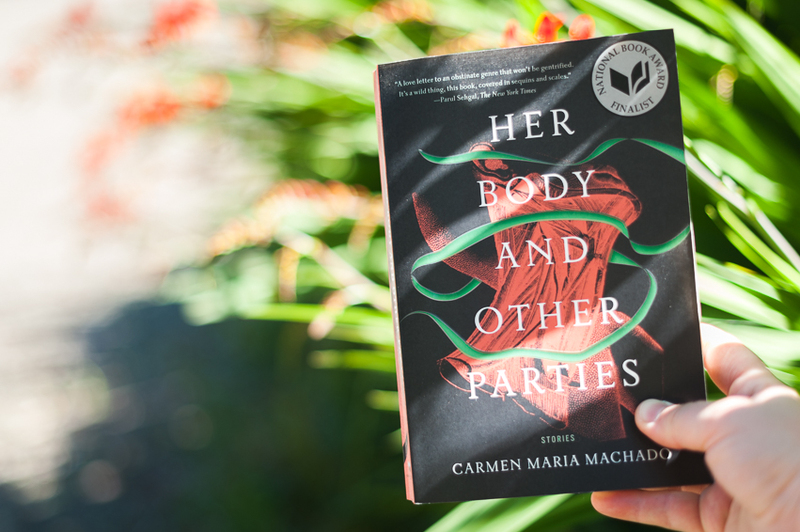 We really enjoy reading the hot new releases from the big publishers and the access to the larger conversations that allows us, but we also love books put out by smaller presses, which tend to be vastly underrepresented. With this in mind, we created @theindiebiblio. It's our new Instagram account (it will mainly be run by Michaela) that will focus exclusively on indie publishers and small presses. Nothing will changing here or over on @theardentbiblio, these spaces will remain representations of our true and full reading lives with our usual blend of books + lifestyle. We just wanted a space dedicated to those amazing books and publishers that aren't getting much of a voice in the bookstagram world, and to be a place where readers can reliably find great new books from smaller publishing houses. Why should you care about small presses and independent publishers, you ask? This article does a great job explaining it, but essentially it boils down to the fact that they offer a wider variety of voices and experiences as well as writing that takes more creative risks. Personally, I tend to find them more intense and interesting on the whole. If you're finding yourself burnt out or bored with the books traditional publishing puts out, indie presses might be your answer. Here is a resource we made if you're unsure of where to start! We'll be focusing primarily on literary fiction and fresh releases in the indie world. I've backlogged some old favorites, but new releases that we requested from publishers will be coming in soon, so going forward we will definitely be showcasing what's new and awesome. I have several titles on deck that I am really excited about and can't wait to share with you all. Give @theindiebiblio a follow if you're interested in diversifying your reading life or checking out what smaller presses have to offer. We'd also love you to tag your indie or small press reads on instagram with the hastag #indiebiblioreads so we can share the love! If you ever have any recommendations for us, or know of any accounts/blogs that focus on independent publishers, please send them our way!